The Audi A6 allroad quattro is such a niche model that it does not have a category that you can conveniently pigeonhole the car in. Don’t be fooled by saying that it’s a station wagon, because it is not. It is the A6 Avant that gets to claim the station wagon title. Confused yet? Read on to get a better picture. 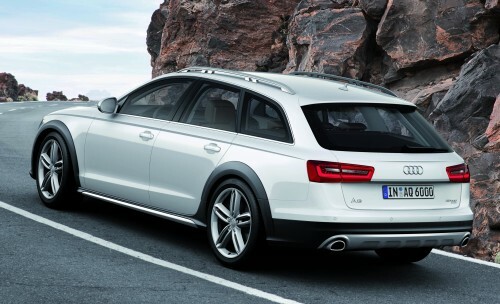 The Audi A6 allroad quattro you see here is actually the third generation of its kind. 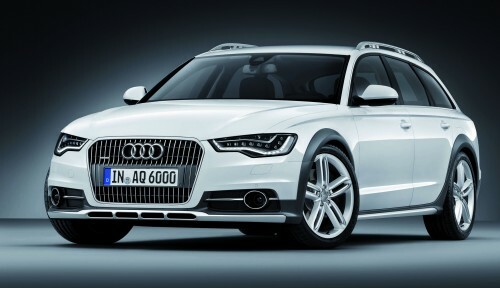 At 4.94 metres long, 1.90 metres wide and 1.47 metres tall, this makes it slightly larger than the A6 Avant. 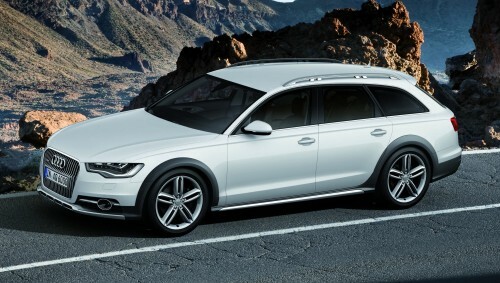 The allroad also sits six centimetres higher than the A6 Avant. More differences come from the trim strips on the side sills, the more-flared fenders and the vertical slats on the grille (the A6 Avant has horizontal slats). Stainless steel covers protect the front and rear underbody and the tailpipes are large and flattened. The colour Java Braun is also exclusive to the allroad. 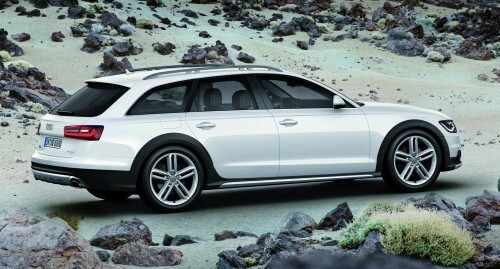 But what makes the allroad different is the fact that it can go off-road. The car comes standard with adaptive air suspension, which combines air suspension with controlled damping. It crouches lower to the road by 15 mm when going at high speeds and is able to raise its ground clearance by 35 mm with a button push. At low speeds, drivers can actually raise the vehicle by an additional 10 mm to tackle rougher terrains. The quattro system keeps the wheels firmly planted to the ground. There’s also a hill descent assist function, that limits the car’s speed to between 10 and 20 km/h when needed as such. The allroad is equipped with the Audi drive select system that allows the driver to set the function of the steering, the air suspension, accelerator pedal, automatic transmission, differential, air conditioning, lighting and adaptive cruise control. Individual mode lets the driver tweak each of the mentioned systems on its own and the Efficiency mode makes the system work as economically as possible. Four V6 engine choices abound – one TFSI gasoline engine and three TDI units. All are three-litre units with turbocharging and direct injection. They make use of important technologies from the Audi modular efficiency platform – the start-stop system and innovative thermal management. Their fuel consumption has been reduced by as much as 20% compared with the previous model. There are four engines to choose from, one petrol and three diesels. The 3.0 TFSI generates 306 hp and 440 Nm of torque. It completes the century sprint in 5.9 seconds and top speed is limited to 250 km/h while only consuming 8.9 litres per 100 km. The three variants of 3.0 TDI diesel engines produce 201 hp, 241 hp and 308 hp with a torque of 450 Nm, 580 Nm and 650 Nm respectively. The base-level engine consumes just 6.1 litres per 100 km. The top-range 308 hp engine is equipped with a twin-turbo unit that accelerates to 100 km/h from zero in 5.6 seconds, with a top speed that is limited to 250 km/h. Except for the 308 hp engine, which is paired with an eight-speed tiptronic transmission, the other engines are mated to the seven-speed S tronic dual-clutch transmission. Another key feature of the A6 allroad quattro is its interior space, thanks to is 2.91 metre wheelbase. The boot has a capacity of 565 litres, expandable to 1,680 litres with all rear seats folded down. Standard to the new model is a rail system with an included load-securing kit for dividing the luggage compartment as needed, tensioning straps on the left wall and a double loading floor. In terms of equipment, the vehicle’s MMI system comes with a function that depicts the car’s pitch. Drivers also have the option to include the MMI Navigation plus with MMI touch – a touchpad operation. A 15-speaker Bang & Olufsen Advanced Sound System rounds up the more premium options one can have. There is also a host of connectivity options like Bluetooth car phone online, which connects to the Internet through UMTS and WLAN hotspots. Tailored services include the new Audi traffic information online or Audi music stream web radio, delivered straight to the car. Google also provides services in the form of Google Earth, Google Street View and voice-activated POI search. As with all Audi cars, the A6 allroad quattro comes with a radar-based adaptive cruise control with stop & go function, Audi active lane assist, Audi side assist, night vision, a system that detects when the driver is getting tired, and a park assist system that enables the A6 allroad quattro to park itself. The parking system plus, with a 360-degree camera, provides all-round vision and four small wide-angle cameras record images of the vehicle’s surroundings and displays them on the MMI monitor, much like a CCTV works. If you so happen to be looking for a vehicle that has the practicality of an SUV and the go-everywhere capability of a 4WD off-roader in a shell that looks equally good driving to a jungle and to a black-tie dinner… well, then I suppose you’ve found your car. Don’t like the face but the side and rear looks sweet!